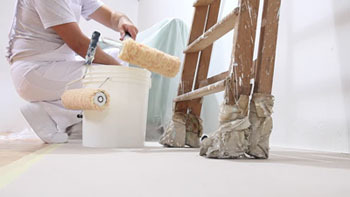 Top 5 budget friendly things you can do to get your home ready for market. Getting ready to list your house for sale can be a daunting task. There are a million and one things you need to do to get it ready. But let's face it, staging is expensive. Renovations and new appliances cost a small fortune. When selling your house you have a lot of expenses to think about, but there are a few things that you can do that cost very little, but make a HUGE difference. Sometimes a little elbow grease and some sweat equity can go a long way. When listing a property it's important to change your mindset. It is no longer a 'home', but rather a 'product'. And just like any other product on the market, things like packaging, quality, aesthetics - they all matter. I'm sharing my top 5 ways you can increase the value of your home while spending almost NO money. That's right, most of these fixes cost pennies but could net you hundred or even thousands in equity! One easy way to dramatically increase your home's appeal is to simply de-clutter. De-cluttering will make your home feel larger and more inviting. I recommend only keeping the essential pieces of furniture. For example, if you have a dining table with 6 chairs consider only having 4. Have that one extra bookcase or occasional chair in the living room? Take it out! Temporarily removing unnecessary furniture makes a huge impact. Other things to consider would be removing knick knacks (figurines, collectibles, etc.) to de-clutter shelves. And don't forget about your unfinished areas - garages, attics, basements and shed should all be neatly organized and clutter free as well! Yes, buyers will notice these things. Replacing family photos with generic abstract or landscape photos will also help buyers envision themselves living in your home. Budget friendly tip: Ask a friend or family member if you can store some items in their basement or garage just until your house is sold, this saves you from having to rent storage space. Repainting your house is an easy way to brighten it up without breaking the bank. Years worth of scuffs and scrapes can really make a property feel tired. By adding a fresh coat of paint it will brighten the space and make the walls look like new again. Don't neglect your trim, either. If you have natural wood trim that is aged and yellowed consider painting it white. Changing trim from natural wood to white instantly brightens the space and makes it feel clean and modern with minimal effort. As for colors, try to stick to bright, neutral colors such as light grey, light beige, or off white. Bring in color through accessories and artwork instead. Don't forget to give your front door a fresh coat of paint, too. Remember, it will be the first thing a buyer sees when they walk in so it's best to make a good first impression. Budget friendly tip: Check your local home improvement store for "oops" paints in the bargain bin. As long as the color is neutral and matches the rest of your decor, you can score paint for pennies on the dollar. One easy fix that often gets overlooked are your home's light fixtures. How do I know your house was built in the 80's? Because you have 80's light fixtures. Brass was popular then, but not today. Light fixtures are a dead giveaway as to the age of a house or when it was last renovated. If the fixtures are really old consider swapping them out for newer, more modern ones. If replacing the fixture isn't an option, sometimes you can swap out just the glass shades for something a bit more modern. Aside from the fixtures, the color and strength of the light is also important. I always do a walk through with my sellers to make sure all the bulbs are working, and that we swap out the CFL bulbs (you know, the ones that take 18 years to turn on) with brighter 'instant on' versions. Along the same lines make sure multiple bulbs in the same fixture all match, and also make sure that your outlet covers match the color of the outlets themselves. If outlet or switch covers are grimy, change them out! They cost less than $.50/each to change. Lastly, stick to bulbs that give off a warm white glow (usually called "warm white" or 2,700K color temperature). Warm bulbs make a home more inviting instead of their blue-ish "bright white" or "daylight" counterparts. 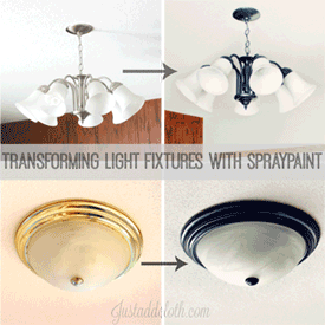 Budget friendly tip: If you can't afford to replace the light fixtures consider spray painting them instead. There's nothing worse than a buyer walking in and feeling like the house is dirty. Buyers will often associate dirtiness or grime with neglect, and can instantly be turned off to a property. It's important that you roll up your sleeves and get to cleaning. Pay special attention to your grout lines (a toothbrush with white vinegar/baking soda mix works awesome! ), bathroom fixtures, and appliances. Make sure basements are free of cob webs and dust bunnies, and that baseboards and trim pass the white glove test. Borrow a pressure washer and blast the algae and moss off your siding, driveway, and walkways. I recently listed a property with a 'dinosaur' avocado green stove from the 50's which was original to the house and totally dated the kitchen. The seller insisted on essentially restoring the stove, spending hours upon hours cleaning it, even though I thought it was a waste of time and would be one of the first things to be thrown out once the new buyers moved in. To my surprise, what could have been a lot of negative conversation surrounding how old and outdated the stove was turned into "Wow, I can't believe how clean this stove is! This owner definitely took good care of the place." Instead of a gross old stove buyers saw a home that was lovingly maintained. 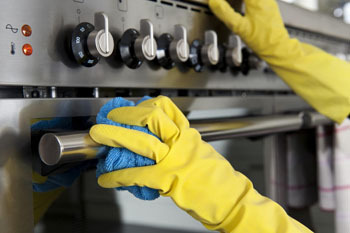 The bottom line to this story is that cleanliness matters, and the details matter. P.S. Don't forget to clean your windows - inside & out! Budget friendly tip: Instead of hiring professional cleaners it's time to call in the friends and family favors again, you can pay them in pizza & beer as the saying goes. Just remember to use paper plates so there's no mess! 77% of first time buyers will drive by a home they viewed online (source). That is why it's imperative that your home has curb appeal (you know, swagger!) Before the open house, before the showings start, the only thing a potential buyer can do is drive by your house. Making a great first impression is crucial, and it may be the deciding factor on whether or not a perspective buyer decides to even make an appointment to view your property. Overgrown bushes? Cut 'em. Dead plants in the gardens? Replace 'em. Pink flamingo lawn ornaments? Time to head South. How your house presents on the outside matters. Make sure your landscaping is in check. 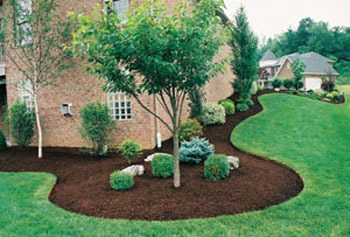 Weed, edge & mulch your flower beds. Consider replacing your door mat with something fresh and welcoming. Remove things like garden gnomes, flags, etc. (see: De-clutter above). If your mailbox is old and rusty, or if your house numbers are faded or missing, replace them for just a few dollars. Buyers DO judge a book by it's cover, so it's important to tidy up the outside. So that's it, my top 5 budget friendly things you can do to enhance your property's value. Of course there are more expensive things you can do that will also pay off, such as replacing your counters with granite or marble, upgrading appliances to stainless steel, refacing cabinets, and so on. But all of these additional improvements require cash up front, so it's understandable that they aren't always within a seller's budget. The biggest takeaway here is that sweat equity goes a LONG way, and buyers WILL notice the small details that you may naturally overlook. So roll up your sleeves and get to work if you want to get top dollar! Ready to list with the best? Give me a call, let's chat!